Activities, strategies, lessons, and planning pertaining to my Book Club and Dugout classes at Forest City Middle School. Book Club: This class meets Monday-Thursday from 10:30-11. This is a block of time dedicated to reading–activities, free reading, novel reading, strategies, etc. The rotation and groups of students changes every three weeks. My section is of low-readers, so I focus largely on reading intervention strategies. 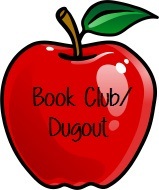 Dugout: This is a core group of students that a teacher will have from 6th-8th grade. It meets 10:30-11 on Fridays and is meant to be a time where students develop relationships with their teacher and feel connected to one another. The activities range from games, social events, and competitions to snack days and free time.